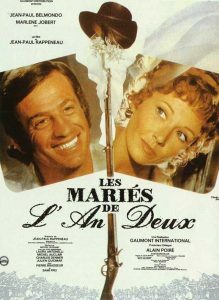 Having killed a noble too friendly with his wife Charlotte, Nicolas Phillibert flees from France to South Carolina, where he does well and wants to marry a rich man’s daughter. To do so, he will first have to return to France and get a divorce. On landing at Nantes in 1793, the Reign of Terror is raging and he is arrested by the revolutionaries. Taken to a republican ceremony in the cathedral, he saves the life of a royalist girl, Pauline, and escapes with her to an isolated castle. There he finds Charlotte, claiming to be a widow, with Pauline’s brother Henri. A prince arrives from London to organise resistance in the Vendée and is struck by Charlotte, who was told by a gypsy that she would become a princess. She admits that she is married to Nicolas, so the prince has him drugged and carried into Nantes city hall to get a divorce. Put back on his ship for America, Nicolas’ divorce certificate blows overboard. Diving into the Loire, he swims ashore to find Charlotte again, but she has left with the prince for neutral Germany. Pursuing her across France in the throes of the Austrian invasion, he catches her at the frontier. Fifteen years later, Nicolas is made a prince by Napoleon and the gypsy’s prediction comes true.